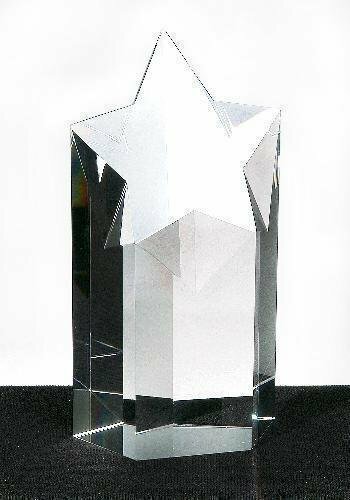 Optical Crystal Star Tower Award. Packed in an elegant gift box. The simplicity of this black marble base award is dramatically enhanced by a luminous 24k gold figurine. The Acclaim Star rises out of layers of black and optically clear crystal blooming up and out into a star that is full of life, cascading light in every direction. 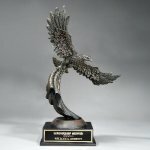 The unique bevels of this award give it a captivating design. 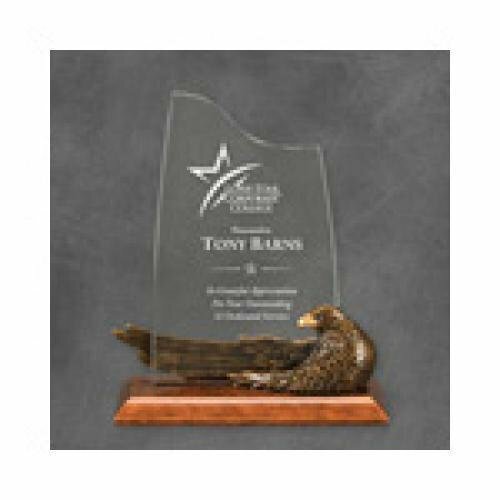 This award is an ideal choice for an individual or organization that shoots for the moon in their industry or specialization. 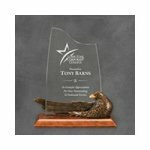 Pure K9 premium optic crystal award in a beautiful star shape. A black crystal base complements the star. 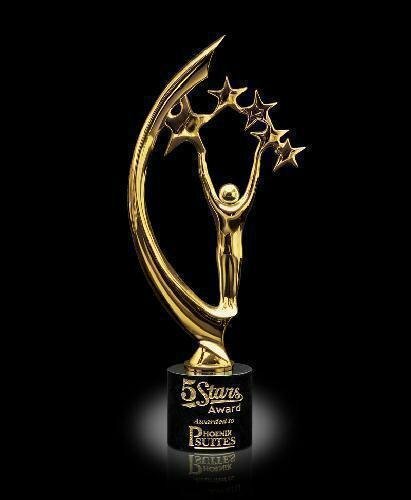 A great award to recognize the star in your organization. 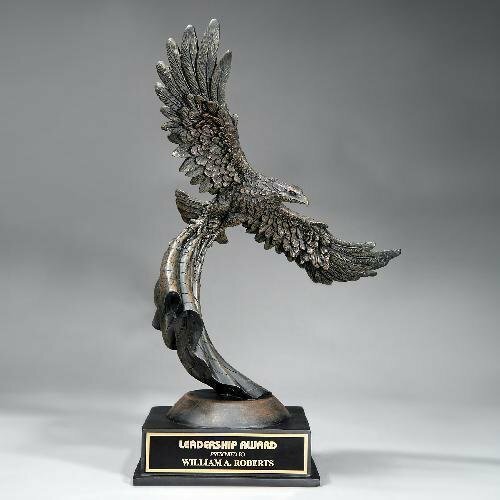 The American Eagle in flight is trailing the flag made in antique black stonecast with a black brass plate attached to the base. ZR pins are etched enamel, gold plated with clutch back and are 1" in size.